What is a split pot? - Casino Answers! 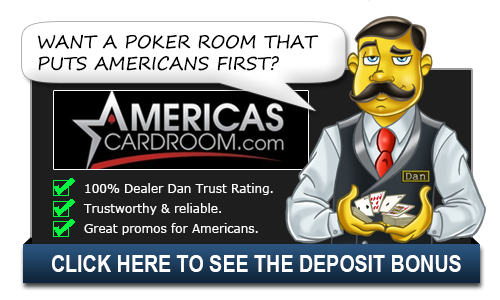 Casino Answers » Poker » Online Poker Beginner Q&A » What is a split pot? A split pot is when the pot is divided among multiple players. In high/low games, a pot is only split when two or more players make identical hands. In high/low games, split pots are much more common. It is possible to have multiple split pots in the same game. Omaha and Seven Card Stud are often played High/low. These game are played with a “Eight or better” qualifier for low. This means that a player must have five cards of different rankings, all of them eight or lower, to make a qualifying low hand. If a low hand qualifies, the pot will be split between the best high hand(s) and the best low hand(s). If no low qualifies, and there is only one winner on the high side, the pot will not be split, and the winner of the high will receive the entire pot. Split pots are also very common in Texas Hold’Em. This is because the unique nature of the community cards. While you or your opponent may have a winning hand, say you have Ace-Nine and they have Ace-Eight, the community cards can go against you and force a split pot. So, if you have A-9 and they have A-8, the flop comes Ace-King-Jack. At this moment, you would have the best possible hand with the nine kicker. If the turn come a seven, you are still the winner with that nine kicker. However, if the river card is another seven? You are going to split because the best possible hand would be two aces, two sevens and a king. Your nine card and their eight card is obsolete and you would then split the pot. This also happens quite a bit with flush and straight draws. You could have the best possible hand, but the five community cards could all be a straight or all be a flush that outranks you and your opponent’s hand. In this case the best possible hand wouldn’t involve your hole cards and would instead just be the cards on the board and thus a split pot. This type of situation is not possible in Omaha though as in that game you must play two of your hole cards while in Hold’Em the best hand can be made using only community cards. In order for a pot to split, the hands must be identical. In games like Omaha, that will happen more often with pairs and straights. In hold’em it could really be anything as the community cards can go against you in a hurry. It’s important to play winning poker that you know the risks of a split pot. You may be in a situation where you are heading for a split pot situation. Your best plan in this area might be to represent a hand that you don’t have and try to bluff your opponent out of the hand. This won’t always work, but when the downside is a split pot it can be worth the risk.